Please read this policy carefully as it describes how we use information about you in conducting the business of Eagle One Ltd.
We will collect certain basic information about you when you visit our website. We understand the importance of keeping that information secure and letting you know what we intend to do with that information. This privacy statement may be amended to reflect changes in our business, website or to data protection regulations. We therefore ask you to revisit this privacy statement on a regular basis to ensure that you are familiar with its terms. This privacy statement only applies to the Eagle One Ltd website. If you follow a link out of the site or leave the site in some other way, this statement will no longer apply. We are Eagle One Limited, a private limited company incorporated in England. 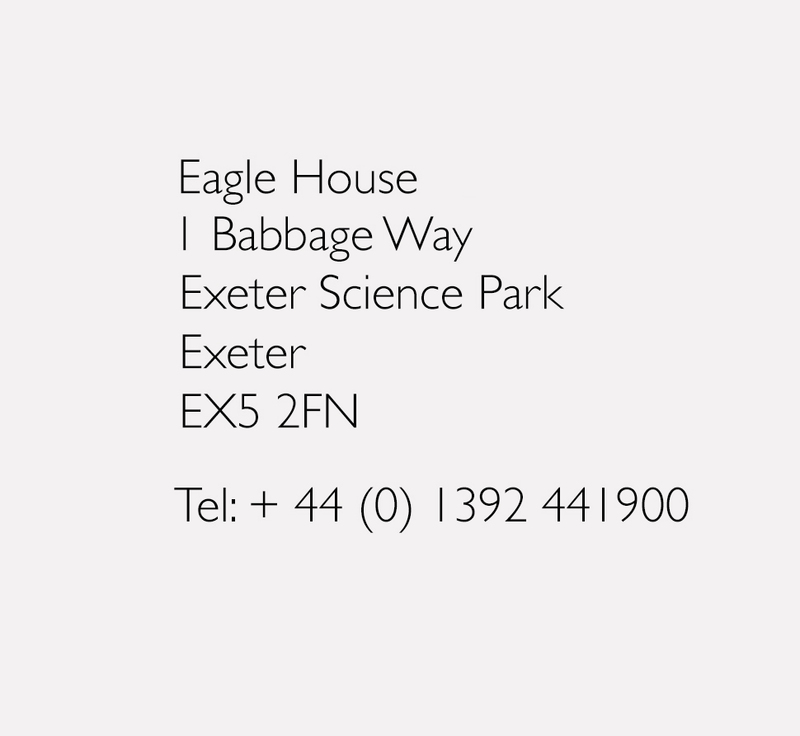 Our company number is 01702241 and our registered office is Eagle House, 1 Babbage Way, Exeter Science Park, Exeter, Devon EX5 2FN. In these terms, we refer to ourselves as ‘we’, ‘us’, ‘our’, and ‘Eagle One Ltd’. The user of the website is referred to as ‘you’ and ‘your’. If you have any queries about the information we hold on you, please contact our office and ask to speak to our Data Protection Compliance Officer who you can also write to and email at the address above. We are registered as a data controller with registration number ZA258790. By personal contact from us and information you supply to us. We use your information to provide you with the website and to contact you to provide further information about our services. We may also contact you for market research purposes and to help improve our products and customer service. You may ask us to remove you from our email alert list at any time by writing to our Data Protection Officer at the address above. We will also offer you the option of correcting your details and being removed from future email alerts when we send you an email alert. You can also ask to stop receiving emails by unsubscribing from the links contained within our emails. We may disclose your information to third parties in certain circumstances but we will not sell, rent or trade any personal information. We may share your information with another organisation that buys our company or our assets or with another organisation from which we acquire a company or business. We may share your information with our funders or potential funders such as our bank and with our professional advisors who have reasonable need to see it. We may also disclose your information to enforcement authorities if asked to do so, or to a third party in the context of actual or threatening legal proceedings, or if otherwise required to do so by law. Only authorised personnel and contractors have access to your information. We will keep your information secure by taking appropriate, technical and operational measures against its unauthorised or unlawful processing and against its accidental loss and destruction or damage. Data protection legislation is harmonised throughout the European economic area which comprises EU member states, Norway, Iceland, and Lichtenstein. Countries outside the EEA do not generally have the same level of protection for personal information as those within the EEA. If you are from outside the EEA, we will transfer that information to your home country and territory for the purpose that is set out in how we use your information above. If you provide us with your information, we will assume you agree to this transfer unless you have purchased a property from us using a new buy scheme, in which case your data may be transferred elsewhere or to another country. If you are from the EEA we will not transfer any personal information we collect from you outside the EEA. If you have any questions about our privacy statement or the information we hold about you, please contact our Data Protection and Compliance Officer at the address above. You have a legal right to see a copy of the information we hold about you on payment of a fee which is currently £15.00. Further information about data protection issues, including the online register of data controllers can be found at the information commissioner’s website.